You knew I couldn’t wait! This is the Abundance quilt from Lori’s quilt along at Humble Quilts. I actually finished this Tuesday morning. I loved how it was turning out and couldn’t wait. She posted the directions for step 2 here. 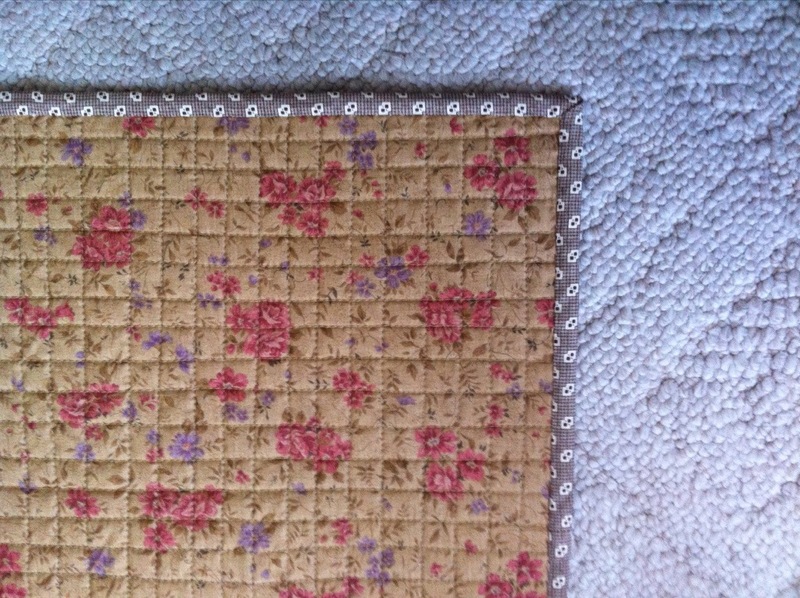 The quilting is a random grid that I like to use. No marking ahead of time, I just start in the middle and go for it. I do all the rows going one way, turn it 90 degrees and then do all the rows going the other way. I like the slightly wonky look it gives. I actually used a yellow thread for the quilting and I really love the way it softened the look of the quilt. I am looking forward to seeing how everyone else interpreted this little design. This is my third finish in as many weeks. Granted this is a small one but I sure hope I can keep this pace going through the rest of the year! 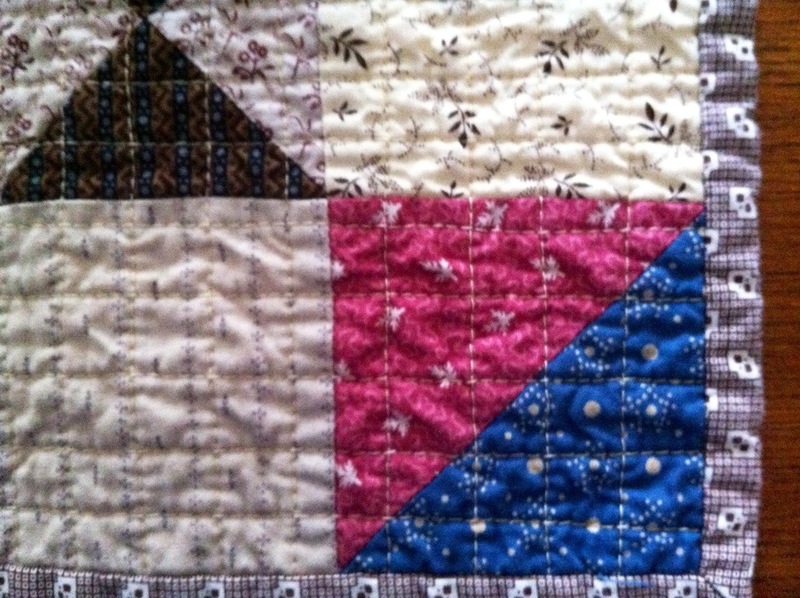 This entry was posted in Civil War Repro Quilts, Doll Quilts, Machine quilting, Miniature. Bookmark the permalink. 9 Responses to Ta daaaa! A finish! Good blue for the center section. It looks great, Katy! I love seeing all the variations of Lori’s quilt. Oh my gosh! I love it!! The grid quilting makes it very unique and that is always good! What a sweet finish!! Really like your colors. Very nice–and I love the way you chose to quilt it! What a sweet little quilt. I love your fabric choices for this. Love your version of Lori’s Simple Abundance! Great finish.